When browsing on Amazon or some other e-book retailer, the first three things that the buyer sees are the cover, the title, the author's name. You hate to change those things after publication, but when a book isn't selling and all the other books by the author are selling well, it only makes sense to try something new. The Western novel HIS ROYAL HIGHNESS J. AUBREY WHITFORD wasn't selling like all of Frank Roderus's other westerns. 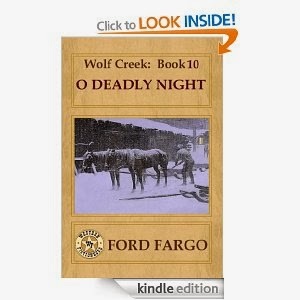 Both the title and the cover fit the book, but neither immediately says western, and this is a western. Frank's main readership are western fans. Frank, being the agreeable sort he is, agreed to let me change the title and cover of this reprint to see if that would improve sales. HIS ROYAL HIGHNESS J. AUBREY WHITFORD is now TEXAS DOUBLE-CROSS and in the one week since the change has sold more than it did the entire month before. If something isn't working, never be afraid to try something different. The new title and cover both let the reader know right away this is a western. Always add in the description what the original title was so fans won't buy the book twice, and you can expect a few returns because the description wasn't read. What are your feelings about changing titles and covers after a book has been published? 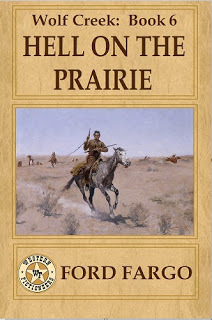 J. Aubrey Whitford is a natural-born con man, so when he finds himself stranded in the wilds of Texas his first instinct is to figure out a way to fleece the citizens of that rugged frontier. 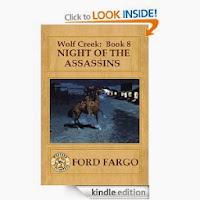 He doesn't know that his efforts will soon land him in a dangerous game involving outlaws, Indians, and the U.S. Cavalry, with his only way to survive—and maybe even profit—being a perilous masquerade as a visiting British nobleman. 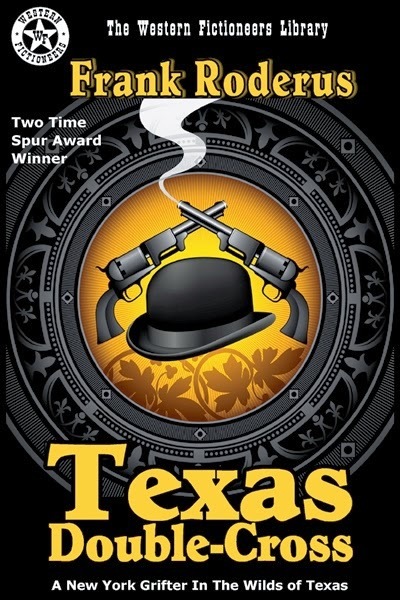 TEXAS DOUBLE-CROSS was originally published as HIS ROYAL HIGHNESS, J. AUBREY WHITFORD. 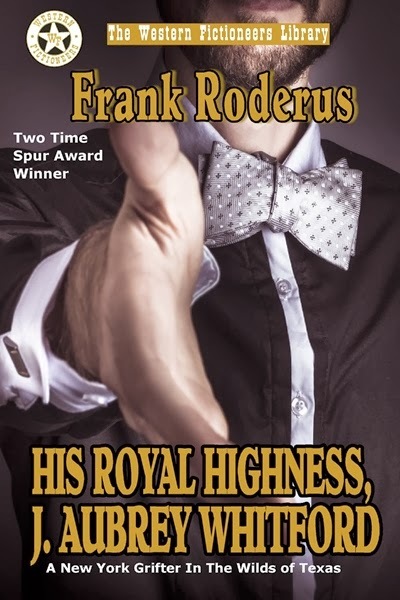 This novel is a rollicking comedy adventure with darker edges from one of the master storytellers of the Old West, award-winning author Frank Roderus. See why Roderus is one of today's best-selling Western writers in this classic novel now available again from the Western Fictioneers Library. Before I read westerns, I read a LOT of Stephen King. I started with Carrie, and was enthralled from start to finish by the girl who could call down wrath on the people who mistreated her. 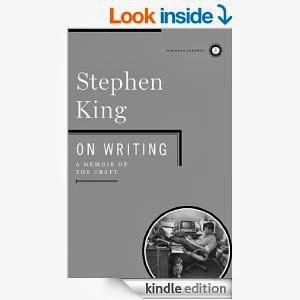 In the afterword to his acclaimed guide On Writing: A Memoir of the Craft, Stephen King shares his own reading list of 96 books of fiction and non-fiction titles. This list was put together several years ago, when his book "On Writing" was published. How many of these have you read? If you were asked to create a list of the top five books you've read, what would be on your list? When I volunteered to fill Meg’s slot, I thought I best study some. There are books on blogging, but the good stuff is reading blogs, including every blog on WF’s web site since last December. Two observations. First, the underlying rule is to give more than you get. This translates into a strong tendency to give advice, tips, one blog even called them “tricks.” Second, most people who post a blog know what they’re talking about. Not all, but even the advice by people who have no idea what they are talking about is good – because it stands out! My conclusion: I am sunk! I am older than almost everyone here in our little blogger’s room and yet I know the least, need the most, and most certainly cannot give advice. The most I can do is ask if you would be willing to undertake an excursion with me. 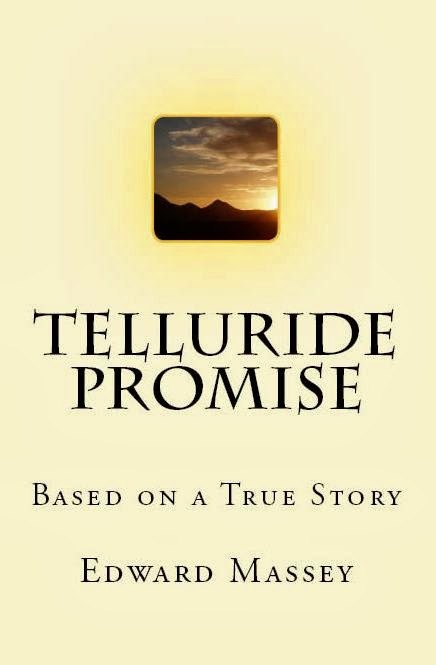 After a self-published a novel in 2009, Telluride Promise, I decided to seek a third party publisher for my next novel. I had bought the books, gone to the conferences, read the admonitions to create a writer’s platform. All very dispiriting. The valley of despond was pierced only by the peaks of five short stories published along the way to securing a signed contract and promised publication date, May 15, 2014, from Duke Pennell and Pen-L Publishing. Duke’s Yes was energizing. One book out there, one coming, now I started to think in very tangible terms. How to market this book Duke had shown faith in and I knew was worth 5 years of my life? Two words and all the writer’s platform B.S. fell into place. Create fans. Here is my invitation. 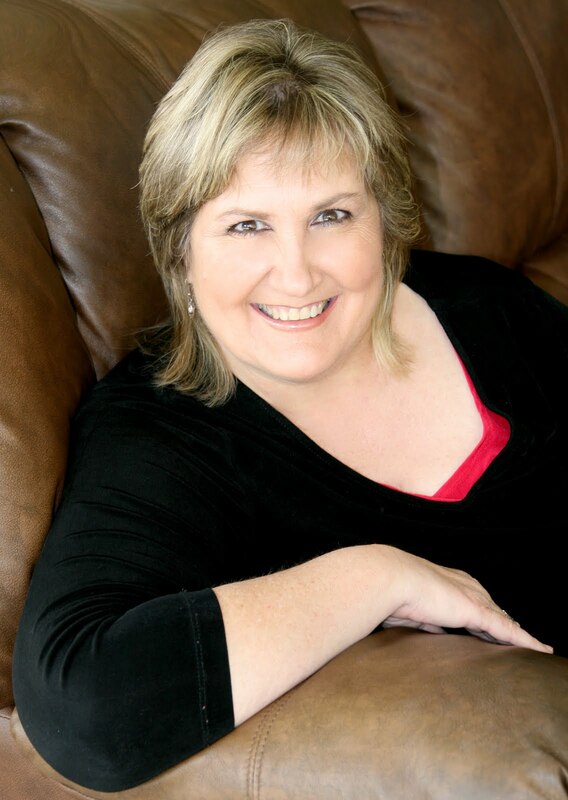 I don’t have the expertise or track record to tell any of you anything about writing or marketing yourself as writers. On the contrary, I am launching on a voyage of discovery. I welcome your willingness to come along. Maybe the adventure will be worth your time. How do I create fans? Simple question. I welcome your answer. Please send it to me, or comment. First, describe the story in a way that touches people: This story of a chase recounts a journey but the story is about choices. Our life is the product of our choices. Those choices are made within a framework that governs our lives. Still they are our choices. Sometimes that framework is too big and too strong to overcome. That reality is not the source of sadness; or, at least, not sadness to the core of your soul. Soul sadness comes when you don’t make the choice. You may ignore it or you may turn away from it but the life well lived results from making the choice. Second, describe myself in ways that touch people: My love of the West grew after I left the West. From poorly educated, working class roots, I learned the freedom and independence that had been breathed into me with that clear, cold mountain air was what propelled me. Inside a very clear set of boundaries I learned I could benefit from working as long and hard as my energy allowed and that I would observe those boundaries because our civilization depended upon it. Not because anyone was watching. When I started writing it was not an effort to write about the West. 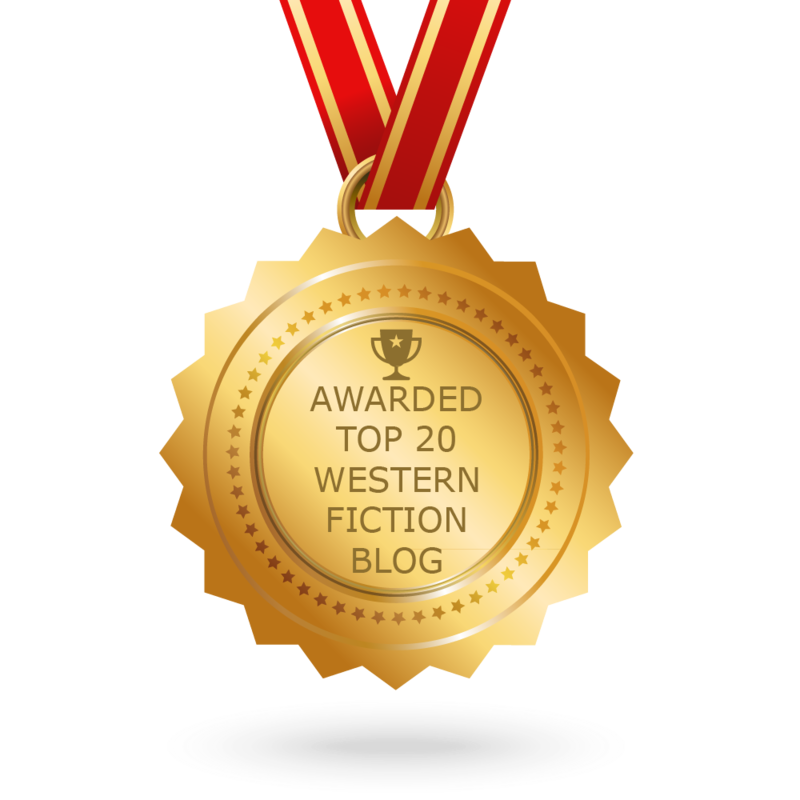 When I wrote a story set in the West, I was told it would not sell because it was not set in the 19th Century. The person who told me that knows nothing about the West. I’ll never move back, but that is all right. I never left. leads his four man posse by truck, horse, and on foot, in driving snow, up to 11,000 feet in the High Uintahs, to track down a fugitive he raised as a son. A hundred years of Mormon, pioneer, mountain, and world history unfold with the choices that created this crucible. The people to touch are the people in the book and they live today. From Relief Society Sisters to Returned Veterans, even Sheriff’s Associations, classmates with pioneer ancestry to independent bookstores with history buffs. The people who get to the people also need to be touched: newspapers, radio stations, and television. The work comes in creating the lists and figuring out how to reach them to touch. Talking to them about choices is not work. 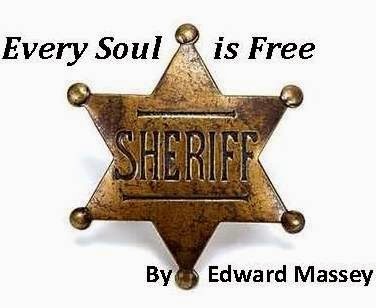 All this work remains to be done because Every Soul is Free comes from Pen-L Publishing on May 15, 2014. I have time to use every comment, idea, or suggestion you make. My goal was to give more than I got. I hope you think a focus on three ideas gave you something. Describe the story in a way that touches people; describe yourself in a way that touches people; get out and touch people. Your three idea focus may be different, but remember the central idea is to touch people. 'Not to know yourself phrenologically is sure to keep you standing on the Bridge of Sighs all your life. In the 19th Century a peculiar quasi-medical practice sprang up and rapidly spread across Europe and the USA. This was the pseudo-science of Phrenology. From extensive anatomical studies and empirical observation Gall had concluded that the brain was made up of individual organs or faculties, each of which represented the various temperaments, emotions, mental abilities and controlling functions of the body. By assessing the shape of the skull, the size of its prominences, its lumps and bumps, he came to believe that it was possible to predict an individual’s strengths and weaknesses, their potentials and their failings. In the Victorian era professional phrenologists set up in consulting rooms like any medical specialist or general practitioner and made good livings. People flocked to them to have their heads read, to see what they should be doing with their lives, and to gain answers in matters of love, business and life in general. Children were taken to see what path of life they should be groomed for. The discoverer and founder was Franz Joseph Gall, who was born on 9th March 1788, at Tiefenbrunn, a village in the Grand Duchy of Baden in Germany. His father was a merchant and mayor. He was an academically able student and after a disagreement with his parents about a choice of career, who wanted him to become a priest, he went to Vienna and qualified as a doctor. There he developed a reputation as a physician of promise and was offered the post of Medical Counsellor of State to the Emperor, Francis I. Surprisingly, he very courteously declined, because he felt that it could interfere with his research. Gall actually had the germ of an idea about the brain and the shape of people’s heads when he was a youth, even before he became a medical student. He had noticed that some of his fellow students who had an aptitude for communicating all had rather prominent eyes. He also noticed that others who did not seem as intelligent as himself but who yet had better memories all seemed to have a wider space between their eyes. Others with a gift for music or art had prominent areas on their heads. All of this, he conjectured, could be due to extra brain development in the areas corresponding to these outward appearances. He developed these early ideas when he took over the post of physician to a mental asylum in Vienna. There he had ample opportunity to study the heads of the patients. In addition, whenever he heard of anyone having a marked skill or talent he requested permission to examine their head and in many instances also managed to take casts of them. Gradually, he formed his theory that the brain was not just one organ, but an assemblage of a large number of smaller organs, each of which controlled an area of thought or a quality of the person, and which thereby gave the individual their temperament, character and governed their abilities. He outlined twenty-six areas on the surface of the head and called them ‘faculties.’ These were to form the first of the many phrenological maps of the head. He believed that by reading people’s heads, by examining the prominences or otherwise of the different parts of the skull he could discover all about the person. In short, it was a very mechanistic science of the mind that fitted extremely well with the sciences of anatomy and medicine as they were known at the time. In 1823 he visited England on a six week lecture tour, during which he performed anatomical dissection of brains. He also brought with him over three hundred skulls of different descriptions of humans and animals, some admirable casts of the brain in wax and over a hundred illuminated plates of the different configurations of the cranium, and numerous portraits of people who had distinguished themselves in one way or another. This was a travelling medical and science show and phrenology became extremely popular among the medical profession and the public. It seemed to promise so much and it seemed totally plausible. 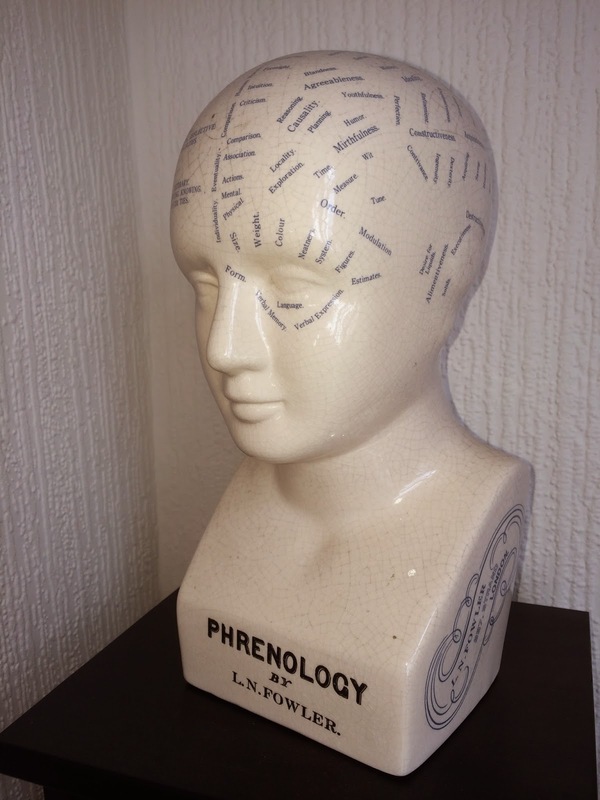 The story of phrenology in the second half of the Victorian era is largely to do with another set of brothers, the remarkable Fowler brothers originally of New York. 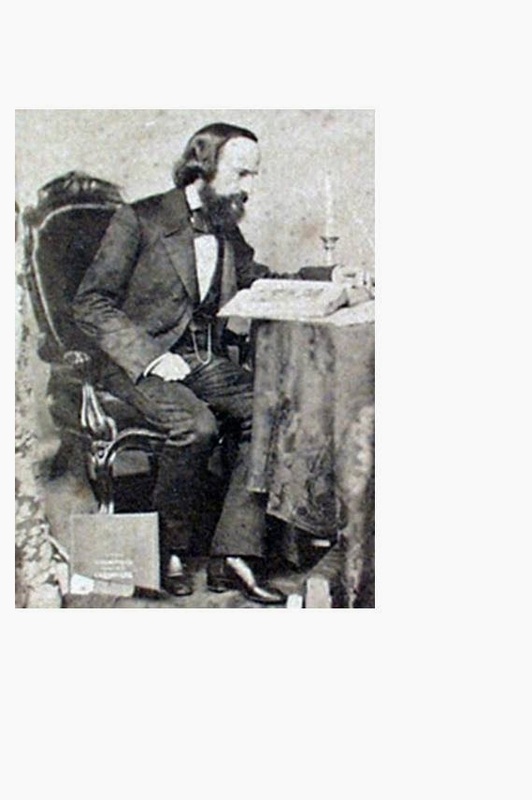 Orson Squire Fowler (1809-1887) studied at Amherst College and was stimulated to study phrenology. He quickly decided that it held truth about the nature of man and that needed to be disseminated. He was joined in this venture by his brother Lorenzo Niles Fowler (1811-1896). By 1840 they were reading heads in New York and established a large clientele. 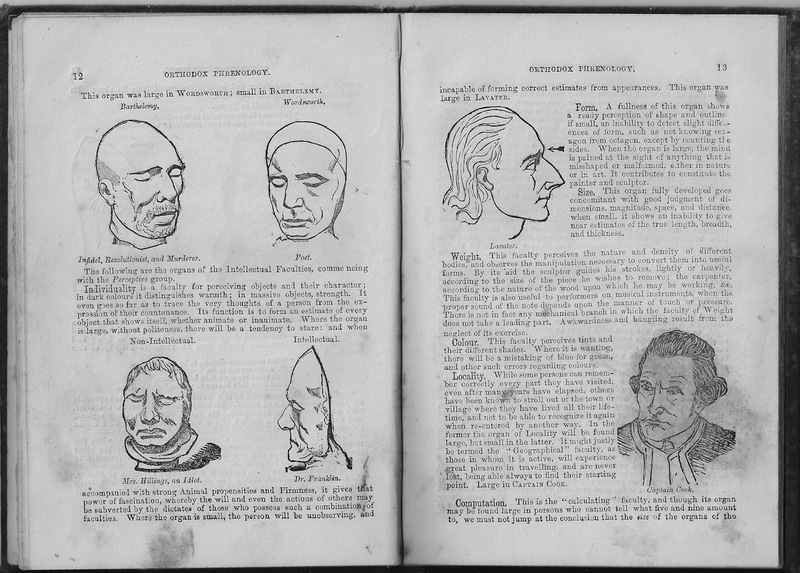 In 1844 they were joined by Samuel R Wells (1820-1875) and set up a publishing house to produce a string of pamphlets, journals and books on phrenology. Oscar Fowler wrote extensively about phrenology, but also advocated temperance, good nutrition and self-help. He was influential in architectural design and proposed that octagonal style houses instead of rectangular or square ones were better for people to live in. In 1848 he wrote The Octagon House: A Home For All, or A New, Cheap, Convenient, and Superior Mode of Building. For a while in the 1850s lots of these were built and the term ‘octagon house’ refers to the style of building that he proposed. So successful was he in his career and his writing that the town of Fowler in Colorado was named after him. In 1860 Lorenzo Fowler and Samuel Wells moved to England and began phrenological practice, gave lectures and set up another publishing company. Lorenzo began producing phrenological busts and soon they were well nigh ubiquitous throughout the land. 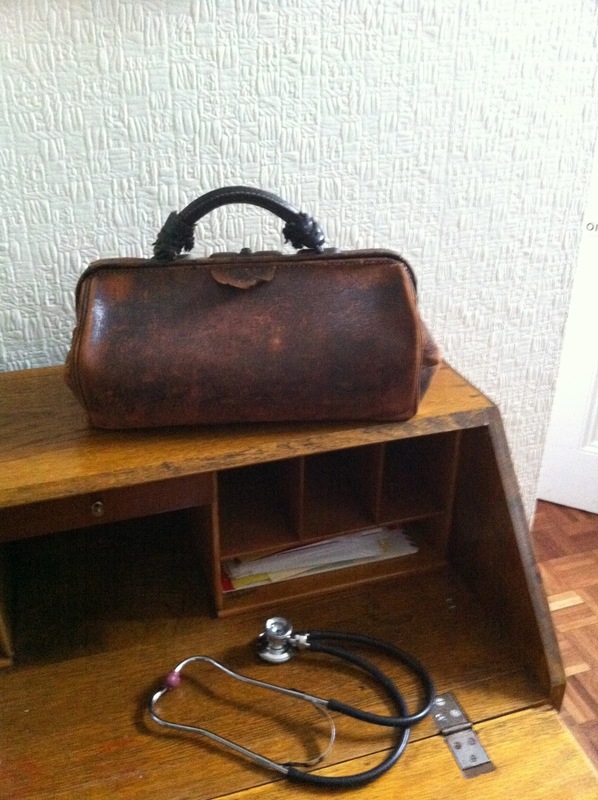 Doctors and professional phrenologists had them in their consulting rooms and enthusiastic amateurs bought them as mantelpiece decorations. In 1886 Lorenzo founded the British Phrenological Society, which flourished well into the twentieth century. Amazingly, it only became defunct in 1967. Visiting a phrenologist was rather like attending a doctor. Most phrenologists had example charts, casts of skulls and brains about their consulting rooms, which they would use to explain the nature of their craft. They would take a history, absorbing what information the client wished to glean from them, and then they would examine the head with callipers, tape measures and various other ingenious measuring gadgets to build up a picture of the contours of the person’s skull. This could then be translated into a detailed analysis of the person’s head, ending in the phrenologist’s opinion of their potential or otherwise for various endeavours. A particularly popular part of their practice was assessing couples for compatibility. How successful they were is hard to determine, since divorce was not common. On that basis, they may well have been able to demonstrate excellent results. Simply analysing someone’s potential would not be considered enough, of course. People would want the phrenologist to be able to do something in order to increase their potential, and perhaps to reduce any faculty that the person thought was not desirable. The question was, how could you do that? The answer was to be found in that other great science or art that had enjoyed such a vogue – mesmerism. 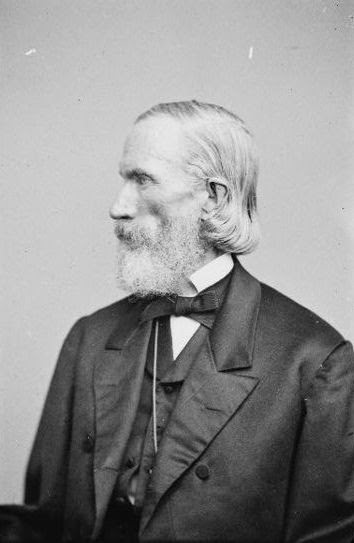 Dr Joseph Rhodes Buchanan (1814-1899) was a professor of medicine and physiology at the Eclectic medical institute in Covington, Kentucky in the USA. He was a confirmed phrenologist and was intensely interested in mesmerism. 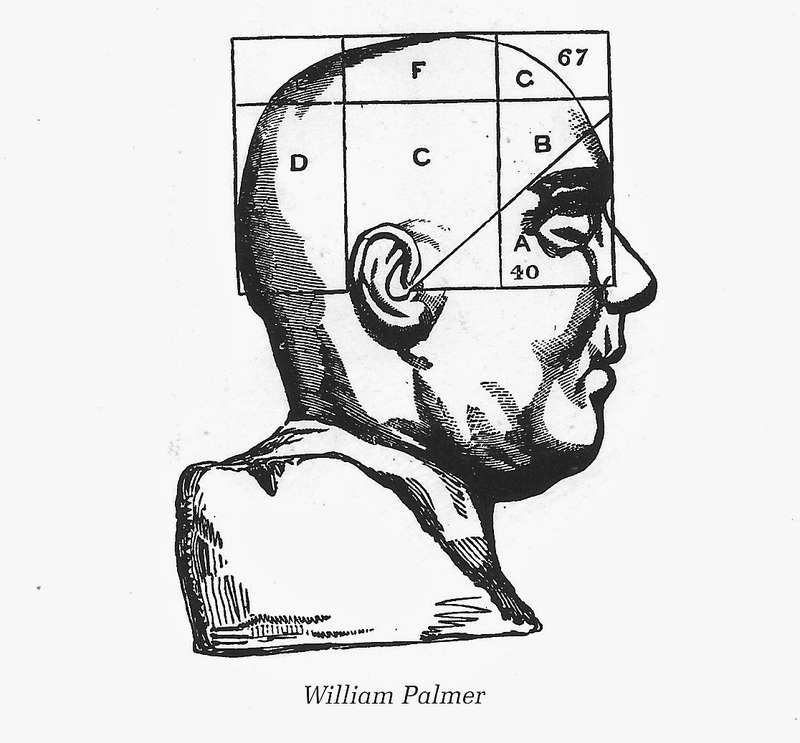 From his physiology background he believed that experimentation was important to advance science, and he believed that mesmerism provided an excellent tool to investigate the principles of phrenology. Accordingly, he began studying the effects of stroking the prominences on people’s heads when they were in a mesmeric or hypnotic trance. He was convinced that by doing so he could enhance the faculty associated with that particular bump. In 1842 he coined the term phreno-mesmerism for this new development. Many phrenologists took up the practice of hypnosis, which is not difficult to learn and make it known that they were trained in both phrenology and mesmerism and that they could solve all manner of problems with phreno-mesmerism. Essentially, under a hypnotic trance they would massage areas of the skull and give hypnotic suggestions and post-hypnotic suggestions that the relevant faculty would be enhanced. There is no doubt that with hypnotizable people (and probably 95 per cent of people can be hypnotised to a greater or lesser extent) this would have achieved good results. The practitioner would probably establish a good reputation. One such phrenologist was Dr James George Davey (1813-1885) who was for a time colonial secretary to Ceylon, ‘responsible for the care of the insane.’ He did much work with both phrenology and phreno-mesmerism and found it to be the most effective method of treatment that he had at his disposal. It has to be remembered that conventional medicine had virtually nothing else to offer other than various types of physical restraint, cold baths, plunges or the powerful opiate drug laudanum. 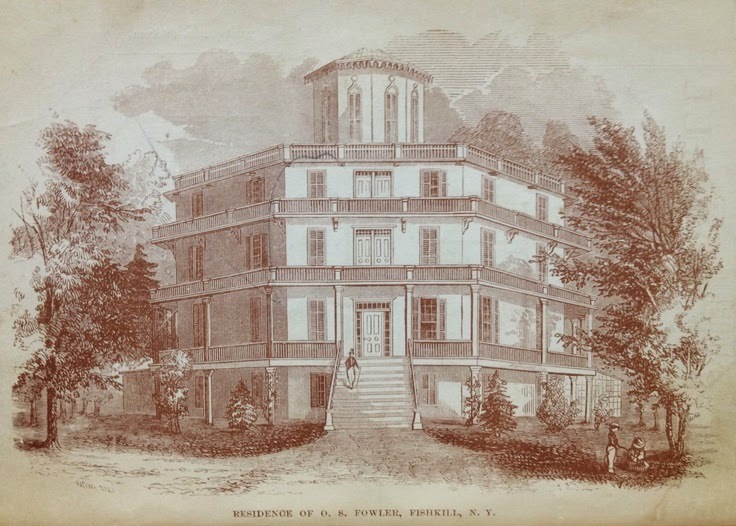 He later returned to England and held posts as medical superintendent of several asylums and attained high office in various medical societies. 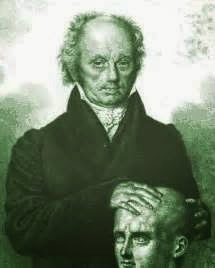 His written works were highly regarded and his status as a qualified doctor did much to keep phreno-mesmerism at the forefront of medical practice during the Victorian era, at least until phrenology began to decline in popularity. In establishing its credibility phrenologists looked for ways of demonstrating that the shape of the head, and the size of various prominences could equate with known characteristics. Accordingly, phrenologists took every opportunity to examine and take casts of the heads of famous and celebrated individuals. The ideal opportunity was after death. The eminent phrenologist George Combe had a cast made of the great poet Robert Burns when his tomb was opened in order for his wife to be interred alongside him. Phrenological examination, of course, confirmed his obvious genius! In 1809 the celebrated composer Joseph Haydn (1732-1809) died and was buried in Vienna. Unfortunately, Austria was at that time at war with Napoleon and the interment of the composer was only regarded as a temporary measure. Shortly after the burial two phrenologists bribed the sextant and then dug the grave and severed the head. After the war some years later Prince Nikolaus Esterhazy II ordered that the composer’s body should be reburied with honour and the absence of the head was discovered. A substitute head was quickly found, but it was not until 1956 that the whole grisly business was solved and the real head was united with the body. Yet a rich source of heads from which phrenologists could make casts came from the gallows. And here all of the deficiencies of moral faculties, or the prominence of hedonistic and greedy ones was portrayed as giving legitimacy to phrenology. William Calcaft was the most famous English hangman in the Victorian era, who executed over 450 people the length and breadth of the land. He favoured the short-drop method, which often left the victim dangling so that they strangled rather than broke their neck. He supplemented his income by selling segments of the rope he used, apparently charging up to a pound an inch. It is probable that he also permitted phrenologists to take casts of the victims after their execution. Ambrose Lewis Vargo, a pharmacist and phrenologist wrote a popular book in 1871 entitled Orthodox Phrenology in which he described the head casts of various types of people including many executed murderers. Indeed, at the back of the book he gives a list of phrenological casts ‘suitable for Public or Private Museums, Literary and Scientific Institutions’, priced at 3s 6d, or 30s per dozen. Of the 74 casts available 26 were murderers, including those of the West Port Murderers William Burke and William Hare and their imitators, the body snatchers known as the London Burkers, John Bishop and Thomas Williams. Marie Manning (1821-1849) was convicted with her husband of murdering her lover, Patrick O’Connor. The case was called The Bermondsey Horror and ended with the public joint hanging of her and her husband by William Calcraft outside Horsemonger Lane Goal. Charles Dickens attended the event and later wrote a letter to the Times, expressing his disgust at the glee that the crowd took at the execution. Vargo has an illustration of Ms Manning’s head in order to illustrate the well developed faculty of ‘Alimentiveness, which can lead to the taking of pleasure in excess. Her gluttony he felt was demonstrated by the hearty breakfast that she ate on the morning of her execution. Dr William Palmer (1824-1856), known as The Rugeley Poisoner was publically hanged in Stafford in front of a crowd of 30,000. He was convicted of poisoning one person, but was thought to have been a serial killer, perhaps murdering a dozen more. Vargo has an illustration of his death mask and draws attention to the poorly developed moral faculties. In his book, Phrenology Made Practical and Popularly Explained, published in 1893, Frederick Bridges, another noted phrenologist described the 'basilar phreno-metrical angle of 40-45 degrees, which he thought to be common to all murderers! Of course, as medical knowledge advanced and it was shown that there was no correlation whatsoever between the bumps on the head and the shape and function of the brain, the whole system collapsed. 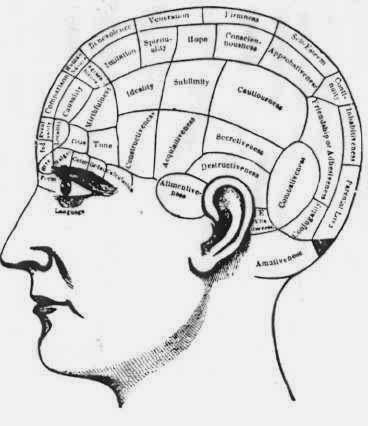 Nevertheless, the phrenological chart and the busts that were so ubiquitous in Victorian times are still all around. They have attained iconic status, not for phrenology, but as an image of the mind. Psychology textbooks, popular self-help books, websites and all manner of adverts still use that phrenological head. The practitioners have come and gone, the mountains of books that they wrote are no longer read, and their philosophy has been derided and jettisoned to the footnotes of history, yet the iconic image persists. 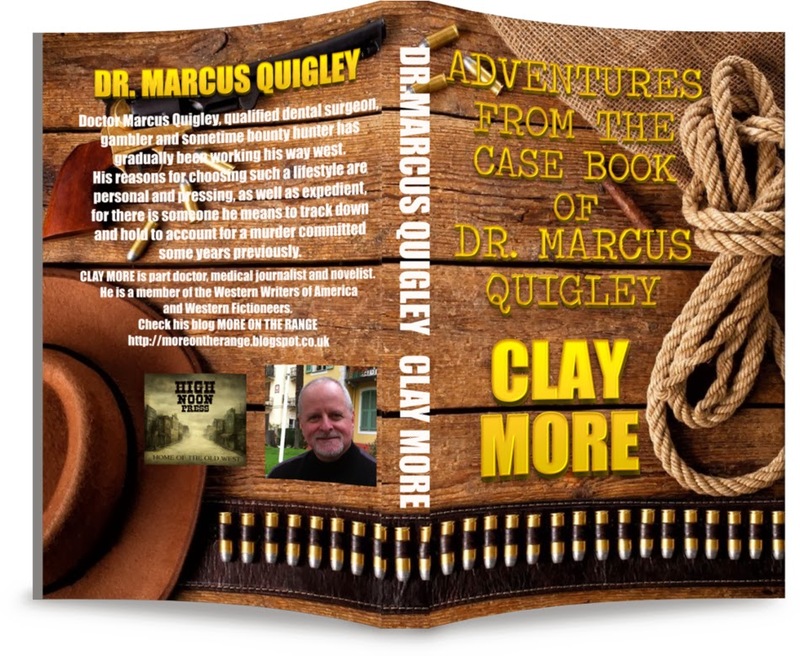 And his other new character, Doc Marcus Quigley, dentist, gambler and occasional bounty hunter continues in his quest to bring a murderer to justice. The complete collection of short stories will soon be available in paperback from High Noon Press.